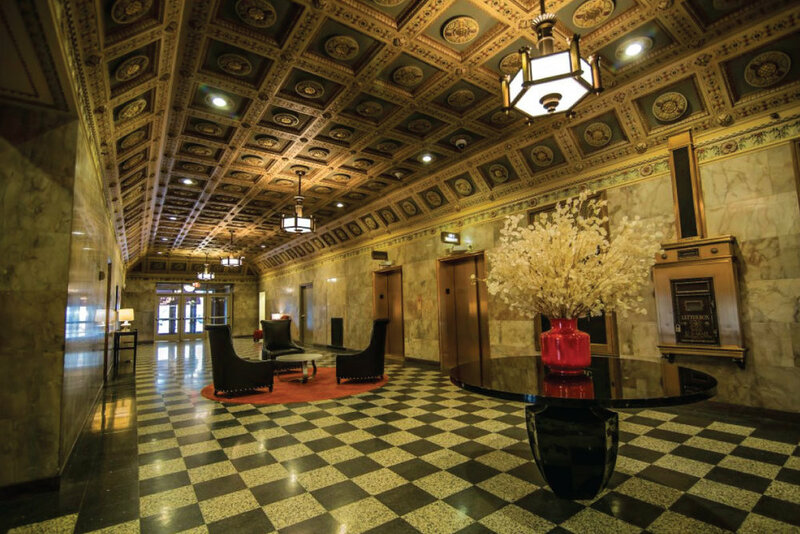 Elevate your lifestyle at Park Pacific apartments – an inspired reinvention of a classic 1920’s Art Deco building in downtown St. Louis. 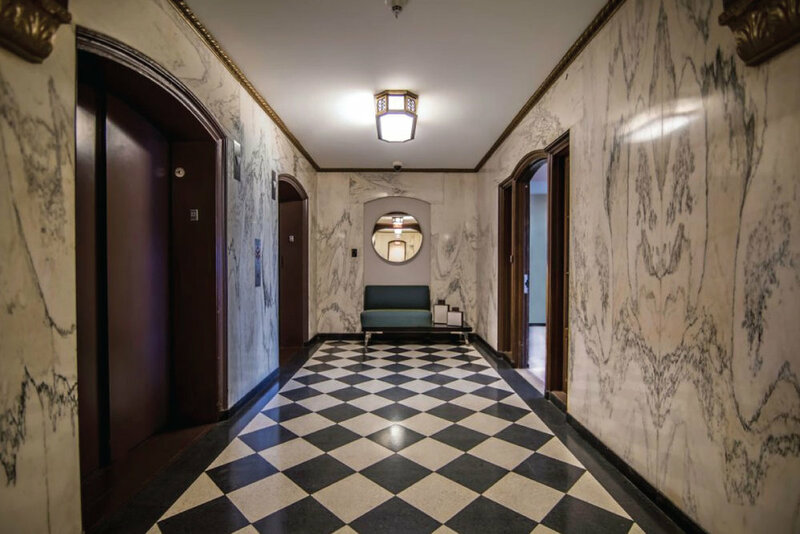 From the refurbished brick and masonry on the exquisite Art Deco exterior of what was once the headquarters of the Missouri Pacific Railroad to the unabashed luxury of the 230 new apartment homes inside, every detail has been thoughtfully planned and carefully executed for your comfort and enjoyment. 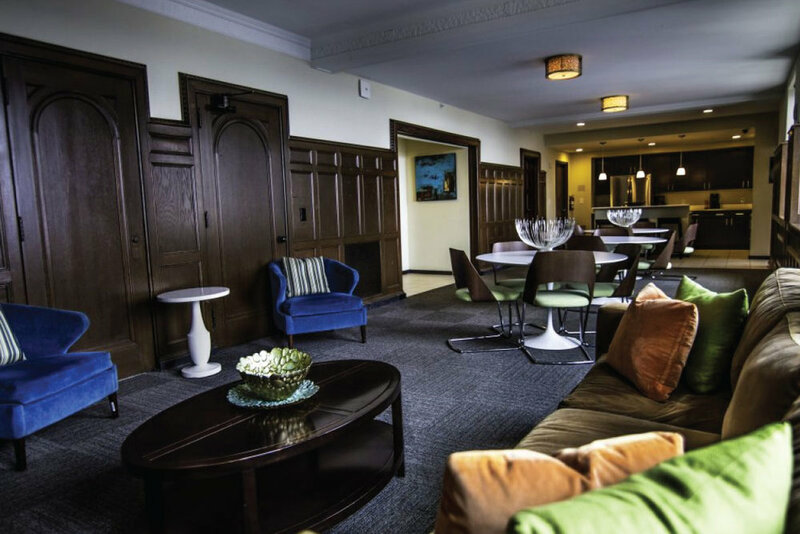 Park Pacific offers 24-hour doorman, 24-hour fitness center and yoga room, rooftop pool and grilling area, reservable party space including the cafe lounge, Wii room, media room, executive board room and poker lounge. Located inside our building is a Smoothie King, Frozen Yogurt shop, Coffee Shop, Alumni Bar and Grill, Papa John’s and our newest addition, Tim Horton’s! You will also be able to enjoy free room service from Alumni Bar & Grill, 2 free fitness classes per week, and dry cleaning pick up/drop off services. With a rooftop pool, workout center, and dozens of things to do within walking distance, you’ll never be bored. 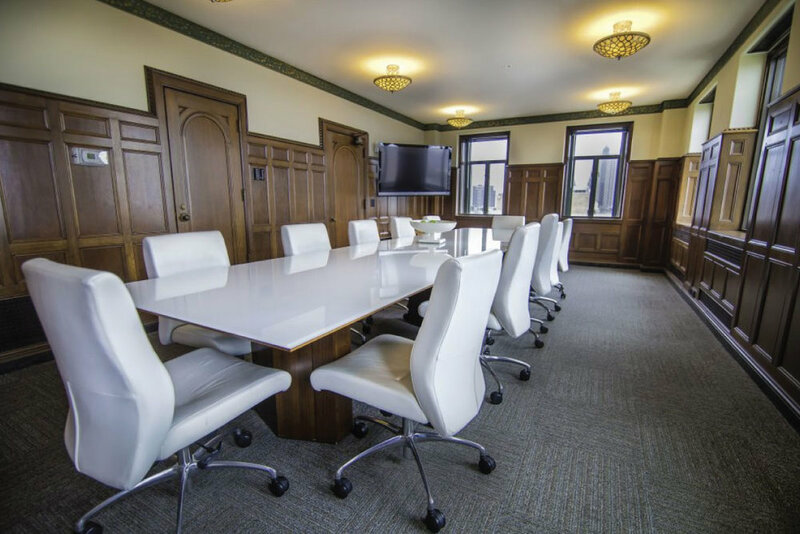 Executive board room and poker lounge. 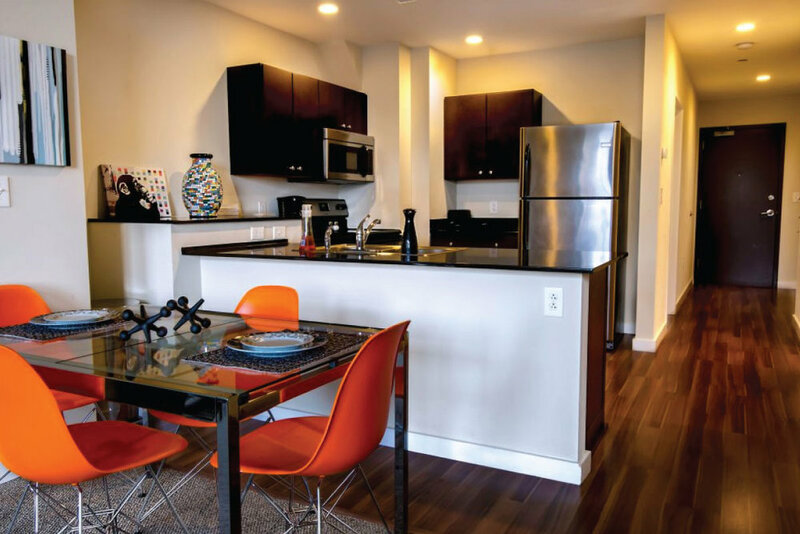 Park Pacific is centrally located downtown just minutes from Cardinals and Blues games, the SLU Law campus, the St. Louis Zoo, Forest Park, Alumni Restaurant and Bar, and the Arch. Family friendly fun-house with activities for all age groups. Built in an old factory, the St. Louis City Museum is less like a museum and more like a playground, which adults can enjoy as well. With a three-story slide, arts and crafts for young ones, and tunnels you could explore for days, it’s always a fun time at the City Museum. St. Louis’ Arch is considered “The Gateway to the West.” Located just a mile away, you can visit the Arch grounds and river front whenever you want. Have a picnic in the park, or take the ride to the top of the Arch to see the St. Louis skyline. If you’ve never been to the Arch, then you’re no St. Louisan. Conveniently located right across the street is a dog park where you can take your dog to help them get their exercise as well as do their business. The only rule is that you clean up after your pet which we make even easier by providing disposal bags.